viscoelastic foam mattress Memory Foam, which has the ability to conform and adapt in function of the heat given off by the body, promoting blood circulation. Memopure viscoelastic foam mattress made of Memory Foam, a visco-elastic and temperature sensitive material derived from space research. The Memopure foam has the ability to conform and adapt in function of the heat given off by the body and memorize the location of the same; it allows to have constantly optimal support without abnormal pressures, avoiding the muscle contractions and promoting blood circulation. Removable mattress 4 sides with perimeter band breathable 3D fabric, with 22 cm height. Kapok: Padding on both sides extremely insulation in all seasons, the Kapok fiber is cool and dry in summer, warm and cozy in winter. The fabric is treated with silver ion antimicrobial, anti-odor and anti-static resistant to several washes. Multifill: air padding double-sided made of Cashmere, Lyocell and special tecnofibre high resilience that give exceptional ability to regulate temperature and hygroscopic. The fabric is protected with Sanitized treatment with antibacterial and dust mite resistant. GREY MÉLANGE: The fabric cover Mélange Gray has a special padding Multifill, designed to enhance the well-being of natural fibers, such as wool and Cashmere Lyocell, and the comfort of high-resilience, high-performance fibers. 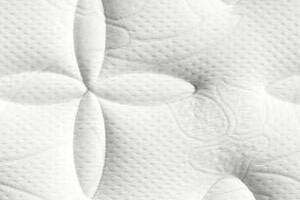 Padding is reversible, soft, breathable and hygroscopic able to optimize comfort during the night. Due to its excellent heat-regulating properties keeps a constant microclimate in every season. The Sanitized treatment, which undergoes the lining, constitutes a solid barrier against dust mites and bacteria and is harmless to humans and the environment. 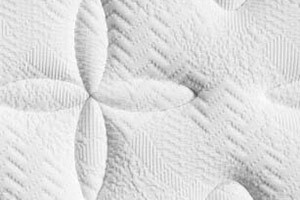 The Multifill lining is embroidered with quilting design placed, removable 4-sided, with positioning handles and frieze in 3-D breathable fabric for air circulation. Machine washable at 40 ° mild washing machine. MULTIFILL: Multifill is a special padding designed to enhance the well-being of natural fibers, such as wool and Cashmere Lyocell, and the comfort of high-resilience, high-performance fibers. Padding is reversible, soft, breathable and hygroscopic able to optimize comfort during the night. Due to its excellent heat-regulating properties keeps a constant microclimate in every season. The Sanitized treatment, which undergoes the lining, constitutes a solid barrier against dust mites and bacteria and is harmless to humans and the environment. The Multifill lining is embroidered with quilting design placed, removable 4-sided, with positioning handles and frieze in 3-D breathable fabric for air circulation. Machine washable at 40 ° mild washing machine. KAPOK: Completely organic as it grows spontaneously in nature, the Kapok fiber is extremely light comes from the fruit of Ceiba, tropical plant of the Bombacaceae family. Its hollow structure covered with a layer of natural wax includes a significant amount of air making it particularly insulating. It does not retain moisture, thereby inhibiting the formation of a warm and humid habitats ideal for the proliferation of bacteria. The outer covering fabric is composed of fibers subjected to the treatment micropigmentation Silverguard by which silver ions are fixed in an irreversible way, creating in time a natural antimicrobial barrier, anti-odor and non-allergenic resistant to several washes. The silver antistatic ability finally, are able to repel dust. Machine washable at 40 ° mild washing machine. ALLERGY: The padding on both sides is polyester thermal fiber, highly breathable, elastic and with high characteristics Allergy and antibacterial. The particular structure of its filaments also allows an abundant flow of air and a quick evaporation of moisture released by the body during rest, creating a healthy, dry environment to our body. The fabric coating is subjected Hydracotton treatment, produced without the use of chemical products. The yarns that make up the fabric are cleaned and purged of all substances which are the main cause of the settlement of mites, fungi and bacteria. It is the ideal solution for people with allergies. The cover is embroidered with quilting design placed, removable 4-sided, with positioning handles and frieze in 3-D breathable fabric for air circulation. Machine washable at 90 ° mild washing machine. zig-zag ensures a high elastic comfort, a stability in time and an excellent breathability. The Sanitized treatment, which undergoes the lining, constitutes a solid barrier against dust mites and bacteria and is harmless to humans and the environment. 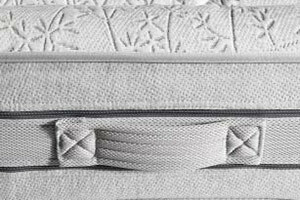 Comfort lining is embroidered with quilting design placed, removable 4-sided, with positioning handles and frieze in 3-D breathable fabric for air circulation. Dry clean. Founded in 1986, Doimo Harmonies of Sleep is part of the Doimo Group, one of the most important Italian industrial groups in the sector. This means relying on cutting-edge and constantly updated production technologies, on a search for materials and technical-design solutions at the highest level, and thus guarantee the quality of the finished products. The science shows that good sleep is not a matter of quantity but quality: you must then invest energy and resources in research. Doimo does so with highly qualified personnel, following with meticulous attention to the design, testing and subsequent realization of the products, supervising on the use of production processes with reduced environmental impact.